This fully-illustrated bestiary includes twenty-five creatures from the depths of the Imaginarium – draconic Deepriver Wyrms mingle with malicious Fleshrenders and the triple- headed Ayaqua. 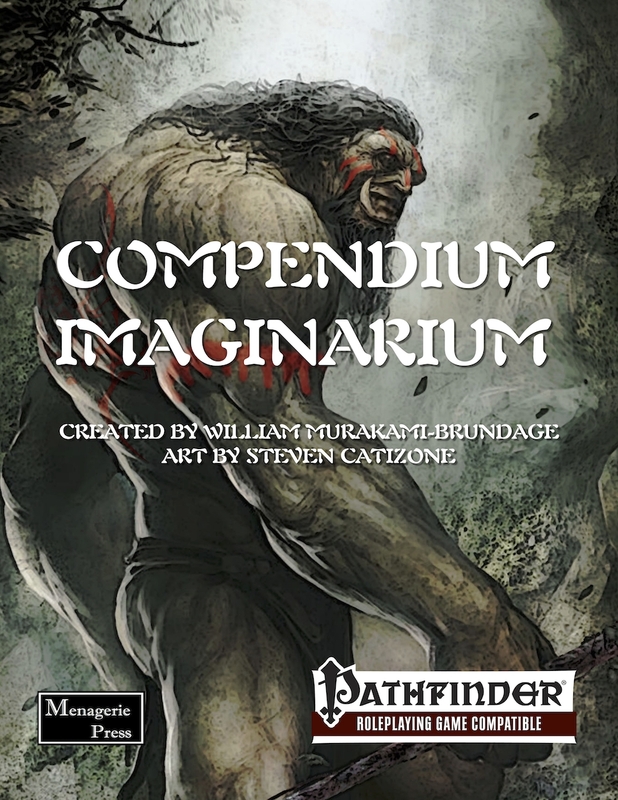 Includes magical constructs such as the Bladed Golem and Silver Golem, and otherworldly creatures like the music-loving Sparks and the elusive Man of the Woods. The fierce Cloud Kraken, gigantic Dread Snake, and necromantic Magus Wraith add extra elements of danger to your adventure plans. Stellar fantasy art from Steven Catizone finishes off this role-playing game book. Also compatible with the Open Game License 3.5 system.